#BlueRevolution on the Great Barrier Reef from SecondMuse on Vimeo. The Great Barrier Reef is the world’s largest coral reef system. It’s a network made up of billions of living corals that stretches along thousands of kilometers of the Australian coast. It can even be seen from outer space. But, Knowles reminds us, it’s in peril. In response to stress, corals expel the zooxanthellae from their skin. This phenomenon is known as “coral bleaching,” since it causes the corals to lose their color. As climate change raises temperatures in the Great Barrier Reef, more mass bleaching events have been taking place– and scientists expect these events to become even more frequent (1). This poses a huge threat to species diversity in the region– coral reefs are known as the “rainforests of the sea,” housing a brilliantly diverse population of underwater creatures. “A system as large as GBR, being 344,000 square km, is going to play a huge role in ocean health in general,” Knowles adds. So what can people do to help? The Great Barrier Reef also needs innovation, Knowles says. “If we could dream big, I think one of the best things would be to reduce the amount of carbon in the atmosphere,” she says. Dream big with us by joining the #BlueRevolution. 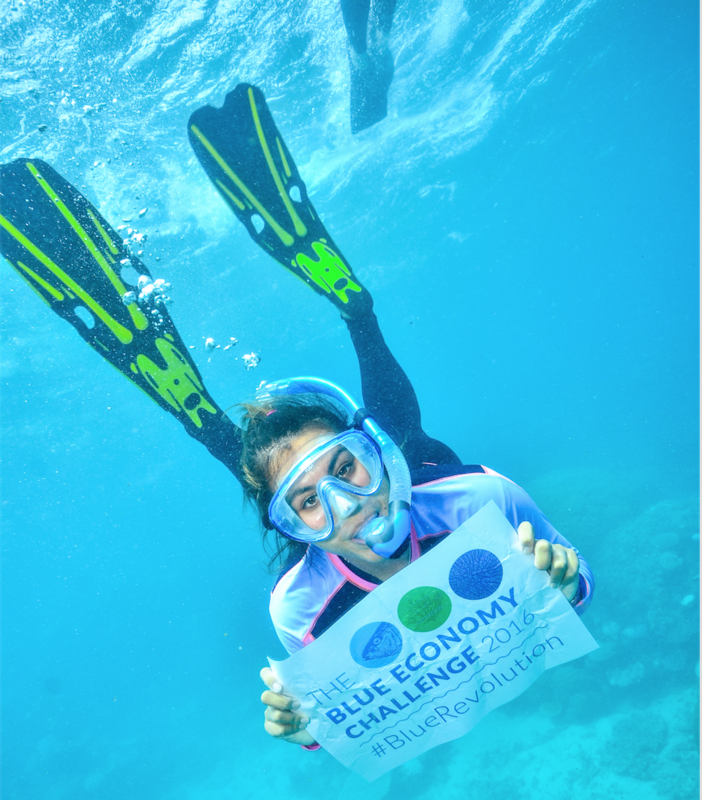 We’re accepting applications for the Blue Economy Challenge for one more week. This challenge is a call for innovative solutions that will help break down the barriers to truly sustainable aquaculture and help improve the health of our oceans. The three challenges each address a different area where innovation is needed: rethinking feed for aquaculture, designing new ocean products via aquaculture, and creating sustainable aquaculture systems. Learn more about how you can develop and submit your project idea here.